Security across the Internet is extremely poor, with many of the most popular E-Commerce sites failing to keep up-to-date with vendor security advisories, bulletins and software patches. Most small to mid-size business, neither have the staff, nor training, to act on any intrusion attempt against their network. These factors make it clear that businesses need to support their computer security capabilities before they suffer from serious computer security problems that can harm their mission, result in significant expense, and tarnish their image. Our aspiration is to be number one in the industry for Computer Security Incident Response, by using standard practices, tools and services. We are committed to helping customers build secure systems, through product functionality and customer education. 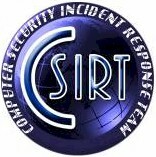 CSIRT, can also help you implement and manage a Incident Response Team within your own organization, this is accomplished through standard practices, services and tools. Reconnaissance tools used by hackers play a very important role; hackers use a variety of tools to map, scan, and probe different types of computer systems across the Internet. We hope to categorize and identify different types of hackers. A joint effort to record, analyze and profile hackers around the world. Information submitted (web-defacements and successful penetrations of vulnerable systems) Information sharing by CSIRT partners will enable us to produce statistical reports and trend analysis, and identify current and new tools used by hackers. Through the CSIRT Partner Program, partners will have access to the tools, information and resources needed to successfully monitor, investigate and resolve security incidents. If you would like further information on services offered by CSIRT, send inquires to csirt@csirt.org. Included a brief description of your company and areas served, and we will promptly respond. Daily and weekly summaries of security issues and new vulnerabilities.